or systems with a varying set point (e.g. flight flutter analysis), or varying system (scheduling) parameters (e.g. pick-and-place robot with extendable gripper arm, a crane lifting a load, see the figure). The common problem in these examples is that the system dynamics change during the measurements! 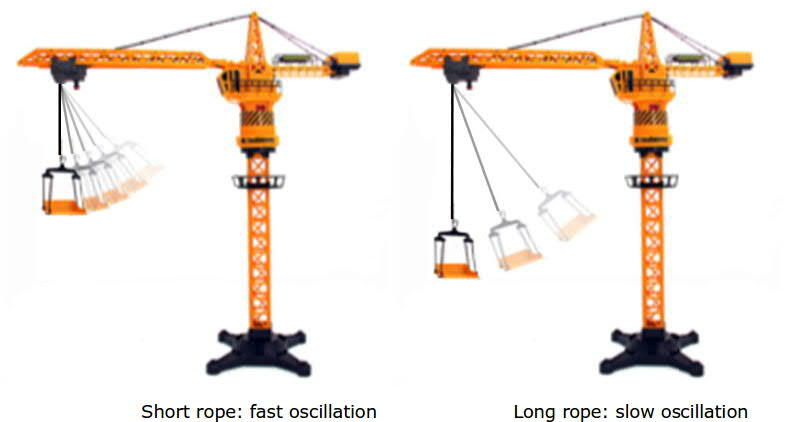 For example, the oscillation frequency of a swinging mass is varying when it is lifted by a crane, viz. In some of the examples the time-variation is due to a changing parameter, called scheduling parameter, that can be measured accurately. For example, the height and speed of the airplane in flight flutter, or the length of an extendable gripper arm, or the length of the rope of a crane (see the figure). In these cases, one speaks of parameter-variant dynamics rather than time-variant dynamics. A parameter-variant model is more general than a time-variant model because it can predict the response of the dynamical system for other trajectories of the scheduling parameter(s). to design and perform experiments on parameter-varying systems, for example, an electronic circuit with parameter-varying resonance frequency and quality factor. J. Goos (2016). Modeling and Identification of LPV systems, PhD thesis, Vrije Universiteit Brussel, dept. ELEC. J. Lataire, R. Pintelon, and E. Louarroudi (2012). 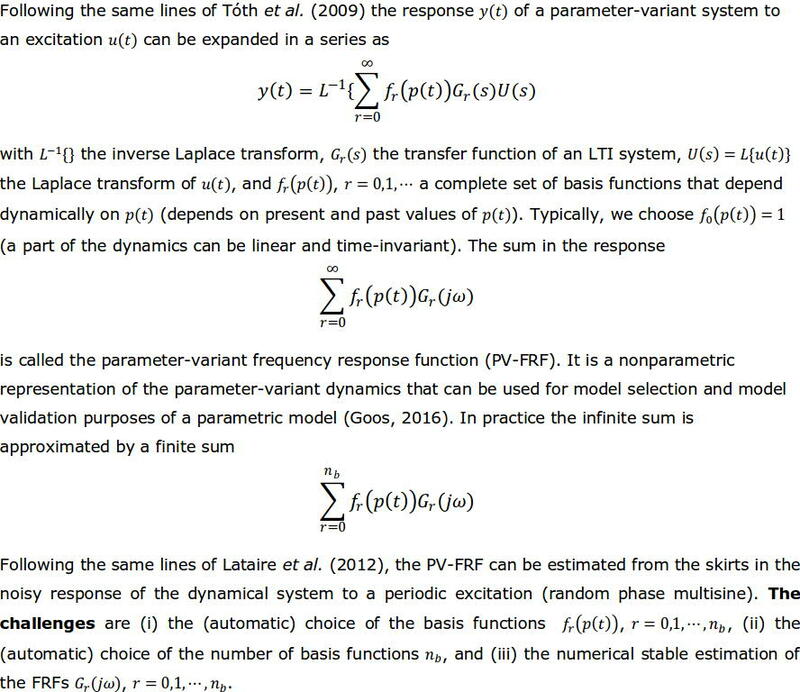 Non-parametric estimate of the system function of a time-varying system, Automatica, vol. 48, no. 4, pp. 666-672.